Calorie counting has never been easier. Runtastic Balance is your handy food diary & calorie counter for every day. * Keep an eye on all major nutritional values (carbs, fat, protein). * Check calories and macronutrients per food item right in the macro tracker. * Track food with the expansive, localized food database integrated in your calorie tracker. * Track calories easily without searching the database, simply use the barcode scanner instead. * Easily add recently tracked foods to your current day. 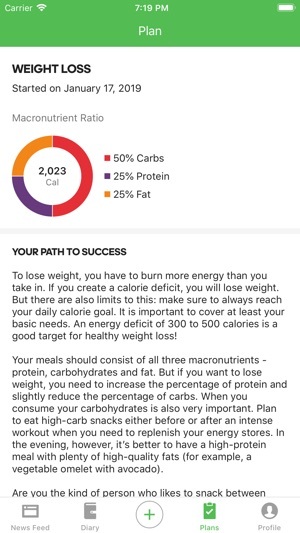 * Set a weight goal and your ideal calorie and macronutrients intake will be calculated automatically. * Activities tracked with any of your Runtastic apps automatically increase your daily calorie allowance. Improve your stamina, form healthy eating habits, lose weight or build muscles, with the nutrition & diet plans. Runtastic Balance offers you a variety of different plans suiting your dietition and fitness needs. Choose from Energy Boost, Weight Loss, Healthy Balance, Cardio Kickstart, Warrior or Low Carb plans. Start your plan for free today! I wanted to make a clean break from MyFitnessPal, but there are a few features that are holding me back. Once they’re implemented, there’s no stopping this app from being the best tracking app out there. 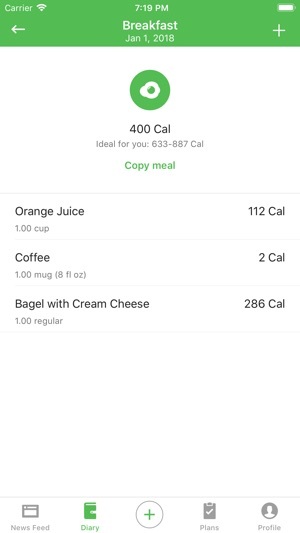 (1) allow me to make recipes and calculate the nutrition from ingredients selected to “make” the recipe; (2) deep HealthKit integration; (3) multi-add foods/associate foods that are added together (e.g., if I frequently had 2 slices of bread with deli meats, suggest the bread to add with the meat); and (4) look at your macros on a per-meal basis, not overall. I really love the design and clean usability. I paid for the yearly subscription to the other Runtastic apps because it looked heads and shoulders better than anything else out there. The developers should be proud of the app — it’s fantastic! — but could be better. I trust that great things are around the corner and can’t wait. I want to love this app. And at first I did, but after one day of using the biggest problems I have run into so far are that it does not sync with my Apple health/ watch. I would be able to deal with manually putting in my activity but what I can’t deal with is the second issue. I often meal prep and eat the same meals multiple days a week if not multiple times in one day. This app does not allow me to transfer the meal over or even click on frequent meals. I had to literally rescan and type everything in. 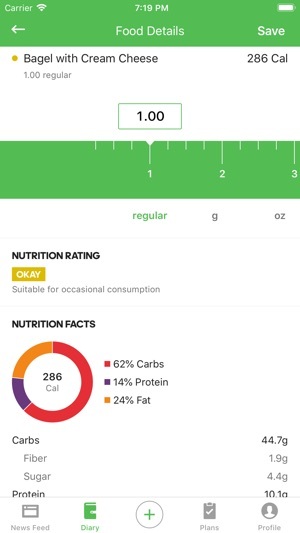 The app is easy to use, I love the look of it and how the carbs, protein and fat goals are displayed easily. However, for now I will have to continue using MyFitnessPal. I will keep checking back to see if Improvements to the app will be made as I would love to switch over to this Balance app for good. 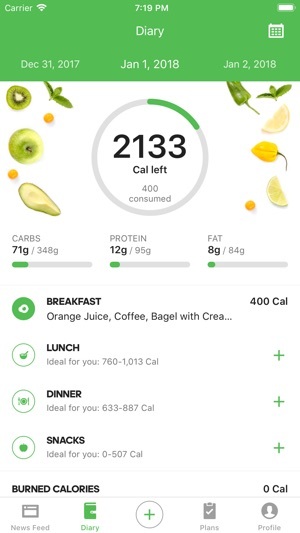 This app is very useful in calculating your calories & keeping you in the know of what you’re eating. I have previously succeeded in applying Atkins diet, but once I started body building and weight training, it’s not the best diet for that anymore, but counting calories is an amazing way of keeping yourself abreast. I have been surprised many times at the amount of calories & carbs some foods contain. I’m trying to put the meal in the app before I eat. This seems to give me a guide how much I should eat of that particular type of food, and deters me from overeating high carb foods.